LOWA Boots has been crafting premium outdoor boots and shoes in Europe for over 80 years. 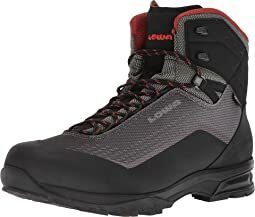 Based in the Bavarian Alps, where hiking boots really count, LOWA has become one of the leading outdoor footwear companies in Europe and has earned a reputation for outstanding comfort, performance and durability with their boots. 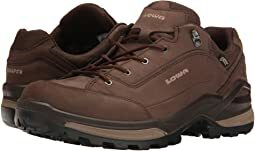 There have been generations of Bavarian mountaineers, climbers and hikers that have played a part in LOWA´s development of technical innovations and construction techniques that make their boots special. 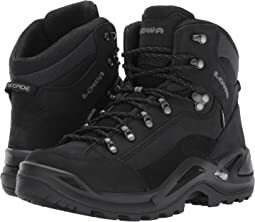 Patented Gore-Tex® lasted construction and their proprietary AWP (Asymmetric Walking Position) design are just a couple of features that LOWA uses to make their boots more supportive and comfortable. 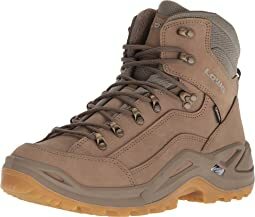 Boots are all that LOWA has ever done, valuing comfort, fit and durability with every design. LOWA boots are European made and bound by the European Community´s high standards of environmentally sensitive production. They care not only about producing the best outdoor boots anybody has to offer, but about our environment as well. Great looking very comfortable shoe. Perfect for casual outings and travel. I think they will be fine for urban touring as well. 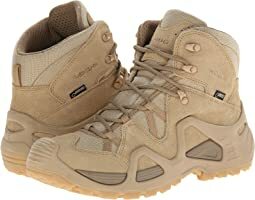 These are not a hiking shoe as the sole is soft, more of a comfort casual shoe. As far as fit goes I find the Lowa profile perfect for my feet as I have a fairly narrow foot. This is my third pair of Lowa's and all have fit very well. I can see if you have a wide foot you'll need to increase the size, and/or these won't fit very well. 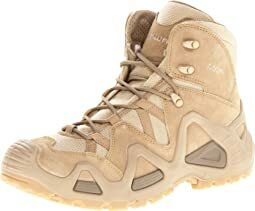 I wanted a hiking shoe as opposed to a hiking boot. 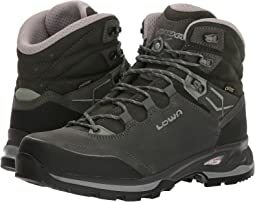 Lowa hiking boots in a 9N are perect for my feet. 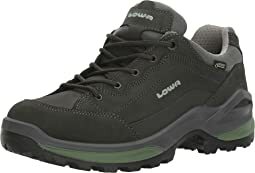 The Lowa GTX Lo did not have a narrow in size 9. 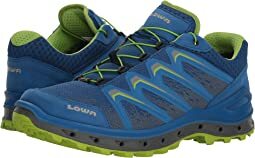 But based upon the comments I decided to order the Lowa GTX Lo in a 9 regular. The fit is a bit wide, but a heavier hiking sock makes the show work okay -- and I tighten the laces as tight as possible. It is not too clunky either. Very expensive but well worth it. 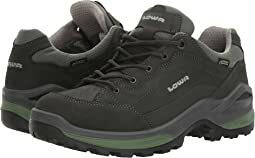 I ordered a half size up to allow for room for thick socks and downhill hikes (normally I wear a 7 in all other shoes). Did a 12 mile hike for their debut and they were surprisingly comfortable, except for a bruise that developed above my ankle. Very warm as well and kept my feet dry in the snow. A great quality boot. What a shoe. Took them right out of the box and wore them for 8 hours straight. Comfort felt like that of an old pair I'd worn for 3 years. To bad there isn't a rating higher than 10 as I would certainly give it for this product. Wanted to love them. They look really good and not bulky. Unfortunately they don't provide enough arch support for an overpronator like me. 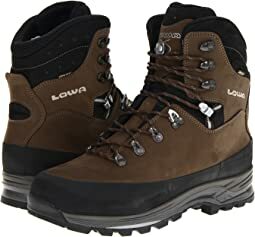 Plus after a couple hours of wearing them around the house my feet started to feel tired which is strange since I own a great pair of Lowa hiking boots that I adore. Returning this one. Shoes are made well and fit well as are my other pair of Lowas. . I expect many miles of hiking and general outdoors use from them. There are great. The fit was perfect for me. I’m a size 12 in everything. The quality is very appearent. Lowa has cheapened these over the years. I have a pair from about 5 years ago. It has the same durable eyelets for laces that are found on the Mid model. Now they use cheap grommet/holes for the laces yet charge the same price. Bring back the durable lacings/eyelets. Never had a boot quite like this. It is very snug (I’m a pretty standard 10M) but snug makes this boot very sure-footed. It feels very secure, like twisting my ankle would not be possible. 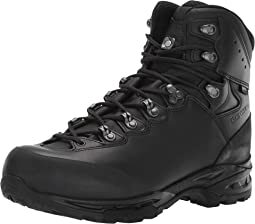 The boot is comfortable, albeit a bit rigid...breathable, I’ve worn long distances with very little break-in. I’m not an Alpine Trekker... and before this purchase I did not know this company... but I am an Appalachian Trekker, and I’m totally converted. Even at high retail, these boots are worth the money. Purposefully designed. The tread is quiet and stays free of rocks, sticks, mud, dog-mines... great grip on rocks and terrain. Fabulous all-weather, all-terrain dog walking footwear. 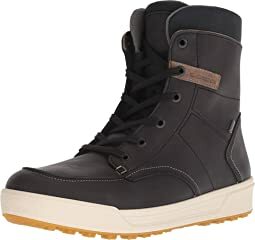 unique boot, and I look forward to trying more LOWA boots. Love these shoes! So comfortable, super cute colors and patterns and they’re waterproof. What more could you ask for? 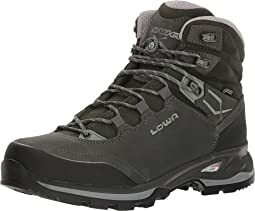 Great if you want a mid-high, lightweight warm/hot-weather hiking shoe that DOES NOT HAVE Gore-Tex or other hot, sweaty 'waterproof' lining. Not great when it gets cold out, as expected. These are reputed to fit small. Bought 1/2 size larger than I wear in Keen low tops, fit fine. Replaced the footbeds, no biggie. Unfortunately, after just over 2 years of light use(slight wear visible on sole lugs from easy 1 hour hikes maybe 60 days a year), the toe guard and sole are separating at the glue line. Lame. Lame. Lame. Glued rubber lightweight hiking boots that cost around $200 should last at least 5 or six years before self-destructing. I'd expect this quality from the $30 Chinese-made specials at Big 5, not from Lowa and not for near $200. Use 'em fast, beat the disintegration blues. 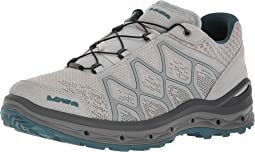 I have been trying to find a pair of hiking shoes that fit me and my orthodics. These shoes feel great but unfortunately my orthodics don't fit in the heel and are too far forward to which makes my toes hurt. The larger size didn't fit my foot. Don't know what I'm gong to do. I haven't return them yet because so far they are the best fit. Haven't worm them yet. This is the 6th pair I've gone through. Now, the boots usually last me through a pair a year. I do a lot of hiking in the Colorado Mountains, ranch work on my property. Despite the snow and granite gravel I tread on most of the day, these boots never hurt my feet, have great traction, and the soles wear tough. Comfortable and sturdy. In the winter, I wear some carhart heavy socks with them, and stay toasty warm through the snow. I'm going to keep buying them. I hope they stay in business. I original bought these in my size 10 but those felt tight so I returned the 10's for 10.5 and these fit better. Great warm boot for winter there holding up well in the snow and slush. Excellent military boots. They look a bit different from the norm though. I just finished my first deployment with these boots and they performed terrific in the harsh desert climate. I plan on buying another pair in the future. The Zappos staff was very helpful as far as estimating what size I needed and the next day shipping is always great. Thanks! 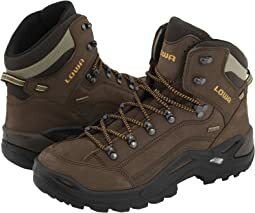 I think I read Lowas were good for narrow feet but the 9.5 was way too loose in the heel and by the time I snugged them up enough to fit in the toe, the tongue was all crumpled up, which seems like it might become uncomfortable on a hike. Anyway, the loose heel did it for me. Fit was fine but my husband and I have been wearing this style for years and the quality is clearly not as good. The materials are cheaper and the lacing is less durable. Seems like Zappos has changed its quality along with change of ownership. We are returning them. thank you. I love Lowa! Great boots. Great craftsmanship. However, seem to run big. I am normally a straight 7.5 B, but /zappos recommended 8. Got the 8s, but way, way too big. Am returning for a 7. Let's see how THAT goes. Solid. Comfortable. Warm. THese are the best. I love these boots! They're excellent for people with narrow feet and a narrow forefoot, but there are some trade-offs. PROS: - Comfort: Very comfortable (for narrow feet). They have adequate cushioning and good foot protection for rough trails. They might require some break-in, depending on your feet. - Support & stability: Very stable feel. I love the high cuffs, thick leather and excellent lacing system with seven sets of hooks. Helps protect ankles and keeps the foot in place when going downhill. - Durable: I've hiked in mine for two years and they're still going strong; no defects yet. - Waterproof: Rain, mud & slush no problem. I haven't submerged them in a stream though. CONS: - Weight: They're heavy. That's the trade-off for a durable, tough, stable boot. These are overkill for short hikes or easy trails. - Breathability: The leather is not as breathable as boots with some mesh. I have sweaty feet but I've never felt too hot in these, although I usually hike in cooler weather. If you do most of your hiking in a hot climate, this might be an issue for you. 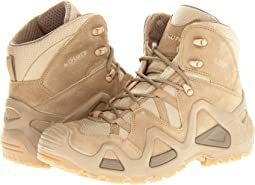 -Appearance: Not fancy, but they look like what they are: a serious boot. - Traction: Good usually, but quite slippery on wet rocks. -Soles: They are stiff which adds stability on uneven terrain and you won't get sore feet going over tough trails, but the stiffness does diminish feel for the terrain.